Holland will continue as president of Orem-based university until June 2018, then depart for an English-speaking but as-yet-unannounced location as LDS mission president. (Francisco Kjolseth | The Salt Lake Tribune) Utah Valley University President Matthew S. Holland announces his calling as an LDS mission president on Monday, Nov. 6, 2017. Holland who is set to leave the UVU in June of 2018, will preside over an English-speaking mission scheduled to be announced later in the year. (Francisco Kjolseth | The Salt Lake Tribune) Utah Valley University President Matthew S. Holland meets with the press on Monday, Nov. 6, 2017, to announce his calling as an LDS mission president. Holland's last day as UVU president will be in early June 2018. (Francisco Kjolseth | The Salt Lake Tribune) Utah Valley University President Matthew S. Holland takes a news radio interview on Monday, Nov. 6, 2017, following his announced calling as an LDS mission president. Holland's last day as UVU president will be in early June of 2018. 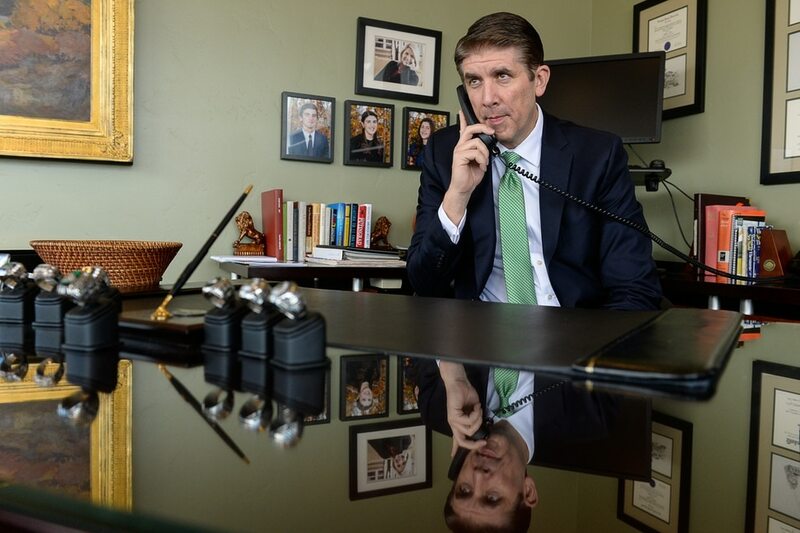 (Francisco Kjolseth | The Salt Lake Tribune) Utah Valley University President Matthew S. Holland takes a news radio interview on Monday, Nov. 6, 2017, following his announced calling as an LDS mission president. Holland's last day as UVU president will be in early June of 2018. (Francisco Kjolseth | The Salt Lake Tribune) Utah Valley University President Matthew S. Holland meets with the press on Monday, Nov. 6, 2017, to announce his calling as an LDS mission president. Holland's last day as UVU president will be in early June 2018. (Francisco Kjolseth | The Salt Lake Tribune) Utah Valley University President Matthew S. Holland takes a news radio interview on Monday, Nov. 6, 2017, following his announced calling as an LDS mission president. Holland's last day as UVU president will be in early June of 2018. (Francisco Kjolseth | The Salt Lake Tribune) Utah Valley University President Matthew S. Holland announces his calling as an LDS mission president on Monday, Nov. 6, 2017. Holland who is set to leave the UVU in June of 2018, will preside over an English-speaking mission scheduled to be announced later in the year. 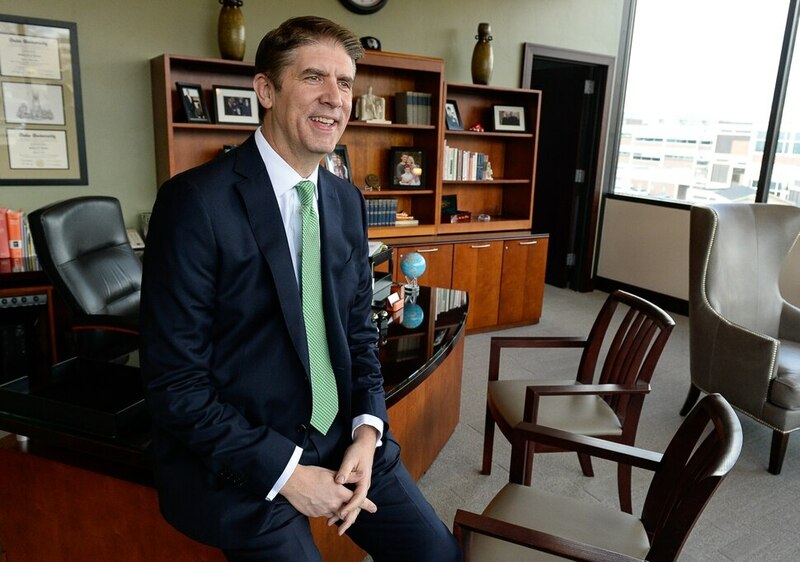 Matthew Holland, the president of Utah Valley University, will leave the Orem campus next year to lead Mormon missionaries in the field. The UVU president announced Monday that he has been called to serve as a mission president for The Church of Jesus Christ of Latter-day Saints, beginning in July 2018. Holland will continue at UVU until early June, he said, before shifting to the religious role in an English-speaking but as-yet-unannounced location. 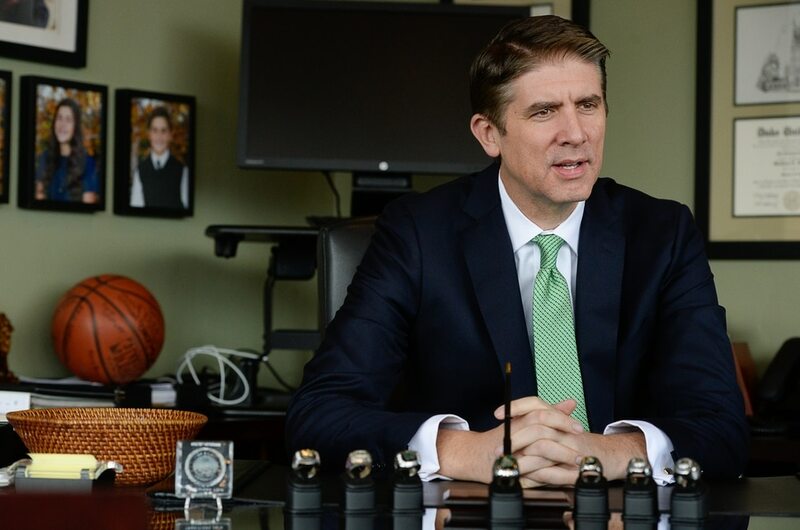 Despite nearly a decade leading the Orem school, and persistent rumors of political aspirations, Holland said he and his wife remained “very focused” on UVU when they received the missionary selection. “This was unexpected but we’re thrilled with it,” Holland said. “Whether it’s the [United Kingdom] or America or anywhere else, we stand ready to respond,” he said. Holland was appointed UVU president in 2009 and was the first person to hold that position after Utah Valley State College attained university status in 2008. He oversaw a period of explosive growth at the university, with enrollment expanding from 18,759 students in 2009 to 37,282 students this fall. Holland is also the son of Jeffrey R. Holland, a member of the LDS Church’s governing Quorum of the Twelve Apostles. Mission presidents oversee the volunteer missionary corps of the LDS Church in a designated geographic area, traditionally for a period of three years. Holland said he has accomplished many of his early objectives for UVU. The school was grappling with its future as a university when he was appointed, he said, and how to bolster its four-year degrees while preserving the affordability, open admission and programming of a community college. He said his final year on campus will include several ongoing initiatives, like fundraising efforts and pitching UVU’s legislative agenda to Utah lawmakers. “I’m going to be going strong until the day they drag me out of here,” he said. David Buhler, Utah’s commissioner of higher education, said a committee will be announced in the “near future” to conduct a national candidate search with the aim of selecting a new UVU president by next summer. A similar search is currently underway for the next president of University of Utah, the state’s flagship institution of higher education, after President David Pershing announced he would step down in May.